This most recent phase will include development of a highly anticipated waterfront wedding venue and event space. This newly developed space will be able to accommodate large parties and ceremonies, from 50 to 500 guests. The new venue will include a raised stage for bands and DJs as well as an extended lawn for outdoor dining and cocktail experiences. We are currently accepting wedding and event requests and expect dates to fill up quickly. 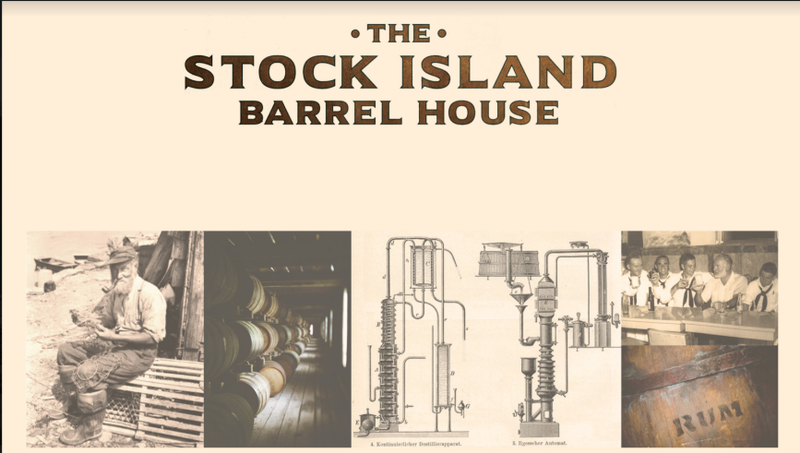 This is a project that has been “distilling” for a couple of years now, and we’re very excited to be opening this Fall. Through the joint efforts of a local distilling partner and the team at Stock Island Marina Village, we’ll be producing our own blends of spirits including a Key West Rum starting this fall. The distilling operation is being headed up by our partners Jeff Louchheim and Key West Distilling, who have won multiple awards from various spirit competitions in the past few years. Please stay tuned for the announcement of our official launch and welcome party later this year. In the meantime, get prepared by stocking up on our custom enamel cocktail mugs. Adjacent to the new wedding venue and located between Coconut Row and North Pier, we are launching new docks that are specifically designed to accommodate larger boats and mega yachts. This is over 4000 linear feet of dockage which will be able to accommodate vessels up to 300’ LOA. Additional Village amenities include a new swimming pool, which will be located just to the north of Coconut Row, in front of the new wedding and event venue. This pool will be open to all marina and hotel guests, as well as a potential “Stock Island Yacht Club” coming in the near future, so stay tuned. Alongside the new swimming pool, and reaffirming our dedication to being a pet-friendly Village, we will be reopening our new and improved dog parks. The new dog parks will be to the south of the new events lawn and pool. Stock Island Marina Village is a dog friendly facility and we intend to continue to improve the experience for our 4-legged friends. To be announced: Exceptional retailers as part of our new waterfront retail shops. No news yet on vendors who will call the new retails shops home yet, but we will be sure to let you know.